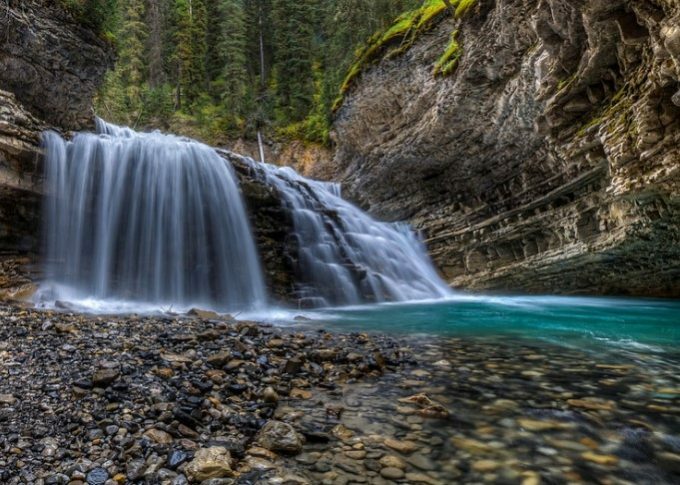 Water purification is critical for when you are out in the wild. 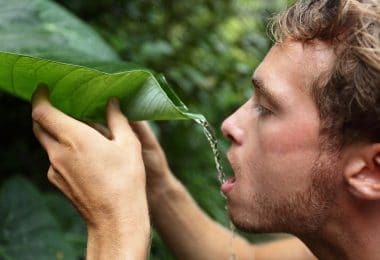 You have to keep any water source that you consume while in the wild clean and safe to consume. This includes ensuring that you remove any dangerous chemicals, contaminants and other harmful compounds from your water. These things can be risky but you will be safe from harm if you know how to purify water with bleach. You must clean out your water sources to ensure that you don’t get ill while consuming it. More importantly, it is to ensure you can safely stay hydrated. When you know how to purify it right, you will have a virtually endless supply of water. There are many things that can be used to purify water. Bleach is one of the smartest choices you can make for the process. This helps to kill off many forms of bacteria and other compounds that make water in the wild potentially dangerous. The same household bleach that you use for a variety of applications can help you to kill off bacteria in the water. This can make a difference provided that you are careful with it. This is especially important if you are in a situation where you cannot boil water. 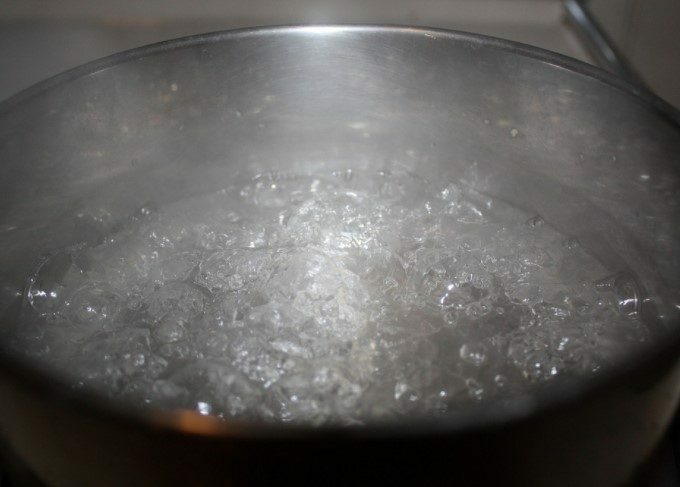 While it is true that boiling water is the best way to purify it, there may be times when you don’t have access to a heat source or a reservoir for handling water in a safe and careful manner. Bleach always works in the above-mentioned cases. But to use bleach properly, you have to watch for how you’re going to handle it. 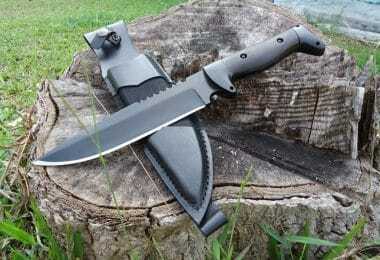 It must be measured properly so it won’t be a threat to your body or your water supply. You have to also look at how the bleach you are using is made so you don’t consume anything dangerous or potentially risky to your body. To understand why bleach is important when you’re in the wild, you have to understand what makes it work so well. Bleach is a compound that consists predominantly of sodium hypochlorite. This is a liquid form of chlorine. Caustic soda, or sodium hydroxide, is a salt-based compound. It is typically produced and then concentrated into a 50-percent solution. 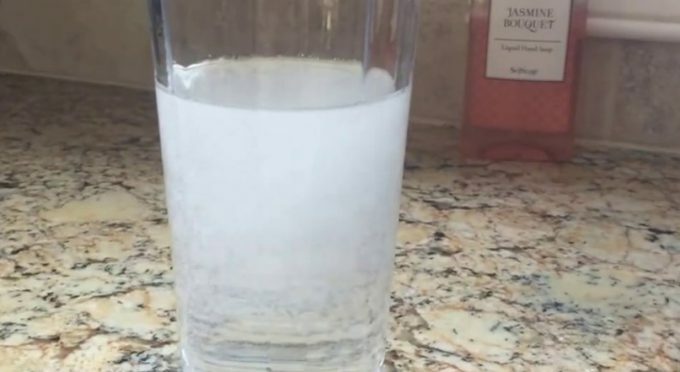 The caustic soda is then diluted with water to form a 25-percent solution. Heat is produced as the water dilutes the caustic soda. This is then cooled off. Chlorine is then added in a liquid or gas form. This is circulated through the caustic soda and water solution. The entire solution is cooled off and then filtered. This is to remove any impurities in the solution. This will result in a mixture that is about 5.25-percent sodium hypochlorite on average. It may be slightly stronger but it should not go over 8.5-percent if possible. Different bleach manufacturers will have their own standards over how much is appropriate. Bleach releases oxygen molecules through oxidation. This comes about as the bleach gets in contact with a surface. The oxygen molecules break up chemical bonds that create many forms of bacteria. These include bacteria that get into water supplies in the wild. The chemical bonds will dissolve over time. It can take a few minutes for them to break apart although it takes longer if there are more dangerous particles in a surface or compound. Much of this is thanks to the chlorine compounds found in bleach. These work in a manner similar to how the treatment of water in a larger swimming pool is acting. The cleaning process used by bleach is easy to handle. This can be utilized with drinking water if you are cautious enough. A clean dropper is needed. You can find one at a drugstore. It should be one that is deep enough to get into your bottle. An appropriate container or reservoir is also needed. This can be of any size although the amount of bleach you require will vary based on the size. 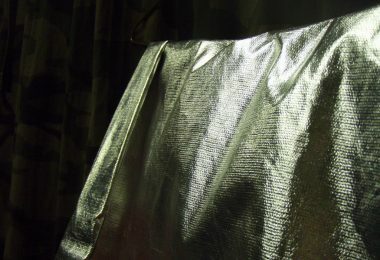 A cloth or other fabric you can filter water through is also needed. This is for cases where the water you are aiming to treat is too cloudy. A second clean reservoir can also be used. This is for cases where the chlorine taste in your water feels too strong. How Much Bleach Is Needed? You don’t have to actually gather a big jug of bleach. 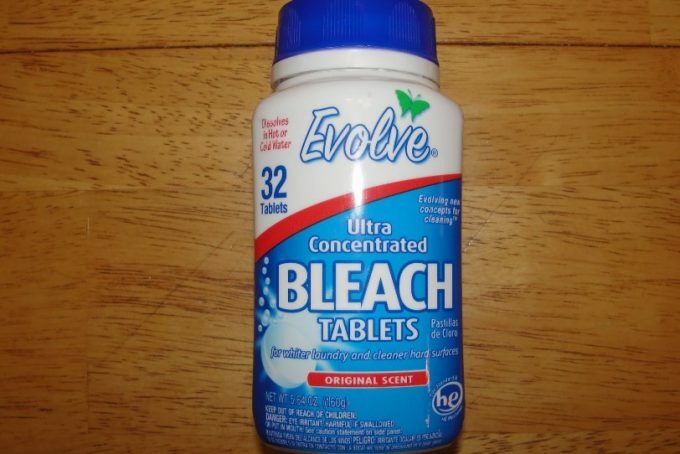 You just need a smaller container or bleach tablets in your camping bag. A good container may contain half a quart or liter of bleach. This is smaller than the much larger jugs you’d find at a local supermarket but it is enough for smaller applications. This is especially for water purification, given how the process for cleaning water doesn’t require all that much water, to begin with. It must be chlorine-based. Chlorine is a key part that helps to break apart bacteria. 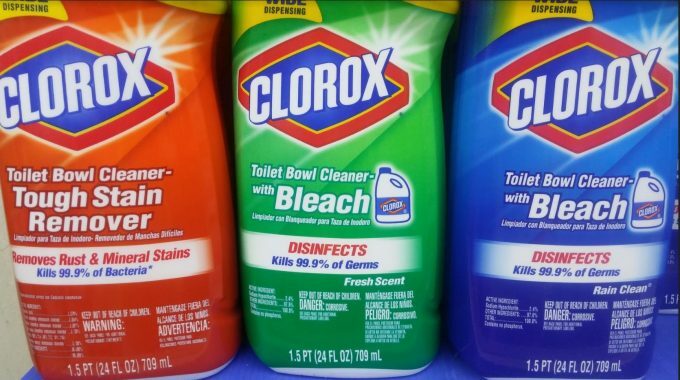 Avoid scented bleach, color safe or prepared with additional cleaners. Only basic bleach is needed. It should be kept at room temperature. Your bleach should be less than a year old. Anything older than that will not be as strong as it should be. 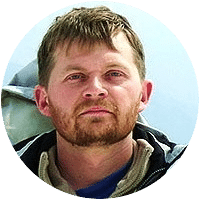 Most importantly, check on the amount of sodium hypochlorite, it should be 5.25-percent in value although you can go for something with up to 8.5-percent sodium hypochlorite. Either way, do not go over that higher extreme. Also, you might notice that some bleach products are marketed as being concentrated, meaning that in some cases, it might be stronger. You must check on how much sodium hypochlorite is included in the bleach in such a case. Always avoid anything with more than 8.5-percent sodium hypochlorite for your safety. If the water is clear, it should not be hard to start purifying it with bleach. If the water is cloudy, you will have to get a clean cloth to filter it with. You can also use a paper towel or coffee filter. The key is to ensure that the water is clear enough to start working because a cloudy water will be difficult to purify. The intensity of particles in the water in the later case would get in the way of the bleach working properly. Check on the container you plan on adding the water and bleach into. The container must be clean and secure. Anything dirty will not be worthwhile as the bleach may not cut through the added materials. Also, the dirt or other outside compounds would make it harder for the water to stay clean for enough time. Allow your water to warm up a bit. This is important if you get water from a source that is very cold. Allow the water to naturally warm up after you take it from its source, otherwise, the response time of the bleach will be longer if the water is chill. There might be times when you have to purify your water immediately even if it is very cold. But as you will read in a bit, in this particular case, you will need more bleach to speed up the process. Gather your bleach and use your dropper. Insert the dropper into the bleach container and gather enough to fill the dropper. Make sure the dropper can actually fit into the bleach bottle. Also, use a towel to dry off the dropper so you won’t worry about excess bleach dripping off of the outside part of it. Add 2 drops of bleach for every quarter or liter of water. Add 6 drops for every gallon of water. If you have 4 gallons, add a ¼ of a teaspoon. You can also add 24 drops of bleach if you prefer to keep it measured carefully. Add twice as much bleach as needed if the water is cloudy or colored or if it is cold. This will also require more time for the bleach to work. These totals should be good enough for most forms of bleach, regardless of how much sodium hypochlorite is included. Do be careful when measuring so you don’t risk consuming more than necessary. Stir the bleach around the water reservoir. This is so it will mix through the entire water body. Let the water sit for about 30 minutes. This is enough time for the bleach to move through the water and kill off the bacteria and other compounds, but add extra time for cold water. After 30 minutes, check and see if there’s a chlorine-like scent to the water. This means that the water should be clean. It should be safe for consumption at this point. If you don’t feel any chlorine scents, repeat the same dosage and stir again. Let the water sit for another 15 minutes before checking again. Check for the chlorine scent, if it’s there, the water should finally be safe to consume. When the process is done right, the water should be easy to drink. There might be a small bit of chlorine aftertaste, though. The taste of chlorine might be tough for some people to handle. 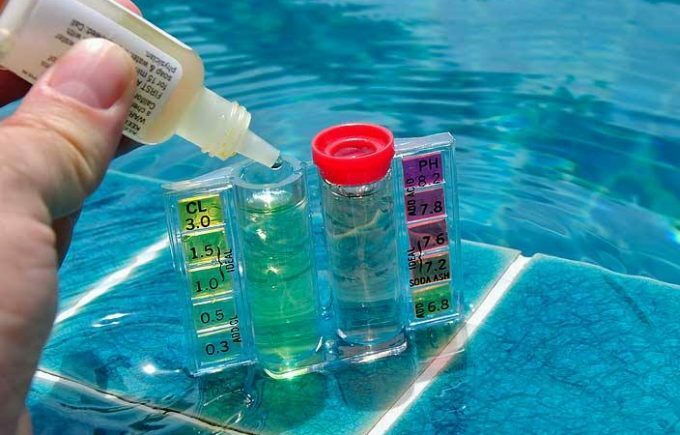 To some, the chlorine might be strong enough to the point you could think you’re drinking something like the pool water you accidentally swallow when swimming. Of course, there is always the concern that the chlorine might be too strong and you would struggle to actually consume the water. You can move the water in your container to another clean container if you are struggling with the chlorine taste. 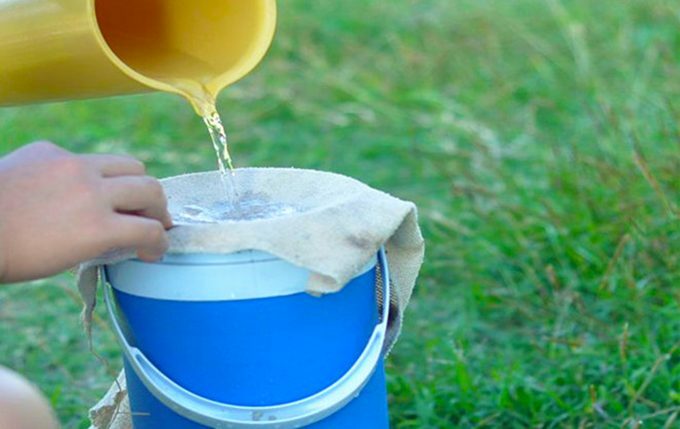 To do this, take the water from one container and pour it evenly into the other container. Let that new container stand for a few hours. This should give the water enough time to keep the chlorine from being too intense. Can It Work For More Than Drinking? You may use your purified water for other purposes than drinking. For instance, you could use it for cooking. This is great if you have any meals that can be rehydrated or mixes that need water to be produced properly. You should avoid using the purified water for bathing or showering. If anything, you would require a significant amount of bleach just to treat the water you want to use for showering or bathing. It could get to where you won’t have any bleach left for other things. 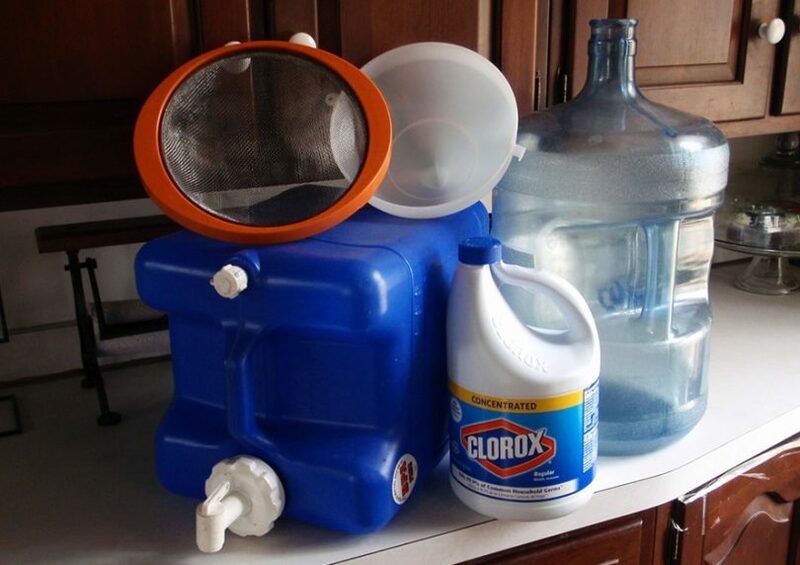 You can always add a lid to your water container after you are done mixing the water with bleach. You will have to wait past the 30 minutes required for the bleach to work, though. This can help you out with keeping the water safe and protected from outside materials. Still, the chlorine odors might persist for quite a bit if you add a lid over the bottle. Whatever you do, you must avoid using more bleach than necessary when purifying water. 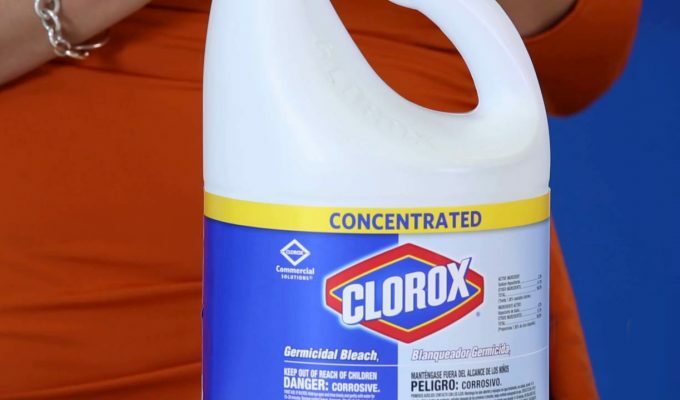 While a small amount of bleach is not going to hurt you all that much, especially when diluted in water, it can be dangerous if you have too much of it. What If You Have a Bad Reaction? You must take immediate action if you develop a bad reaction to the purified water. 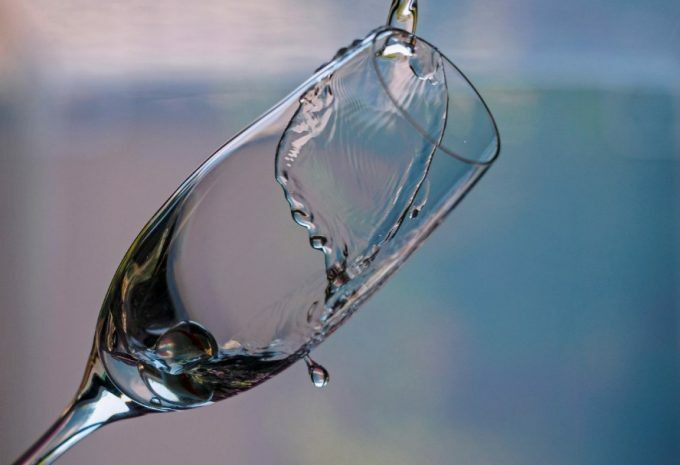 While the risk of having such a difficult reaction will be minimal if you use an appropriate amount and dilute it well in water, you should still be cautious. 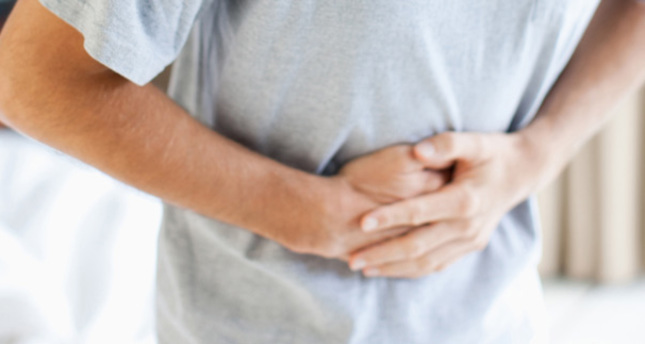 If you struggle with nausea or vomiting, you should avoid consuming anything else for the time being. This is due to how you might have a difficulty in actually swallowing something. 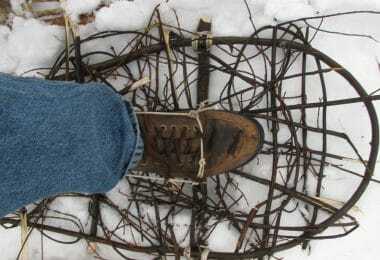 Read our piece on hiking safety for more information. Also, you must get into an open space with plenty of fresh and clean air. 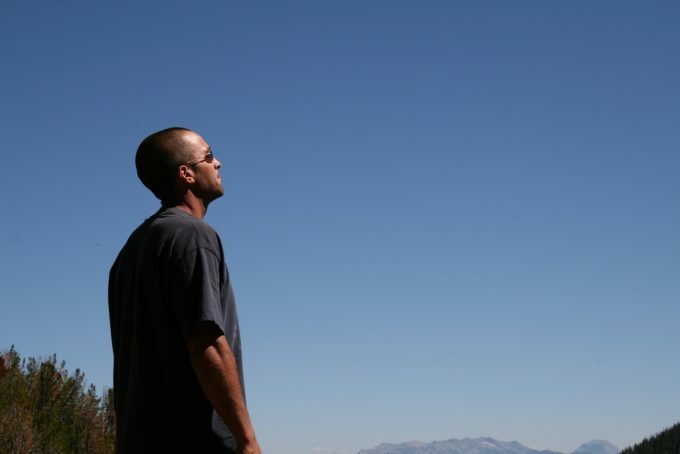 Look for a spot where the air moves well and you can stay in wind. This may help with easing symptoms and keeping you from fainting or feeling worn out. The risks of having a bad reaction should be minimal when you consider how you’re only using a very small amount of bleach. Still, you have to be prepared in the event of problems. Those with low blood pressure issues. Even a small amount of bleach might hurt the body. Women who are pregnant, nursing or plan to do either should avoid bleach. The risk to one’s child is strong even when a small bit is used. People who have any allergic reactions to bleach must also avoid it. The risks that come with ingesting bleach might be greater depending on what happens. 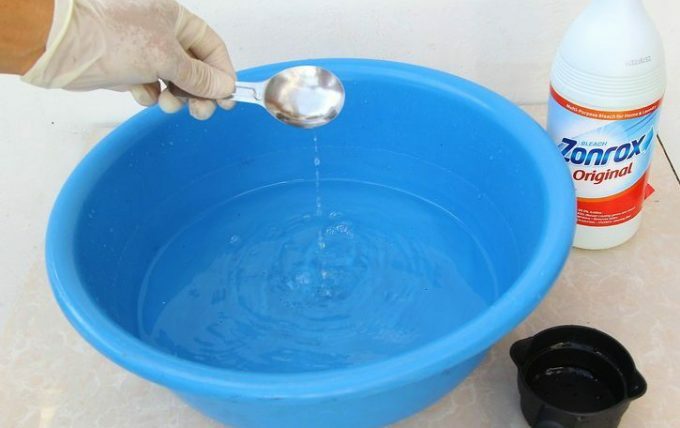 The process for how to purify water with bleach you read here is very easy to handle. It should not be hard to clean water with bleach if you fully understand the steps and take the necessary precautions. Do check out our guide on camping and hiking 101 for more safety tips.